Hi lovelies! Today, I have another giveaway for you all and this time it's one I'm super excited about. Recently, I have been in touch with the lovely people at Emma Bridgewater and they have very kindly offered to team up with me to give away a personalised 1/2 pint mug to one of you guys! You lucky things! 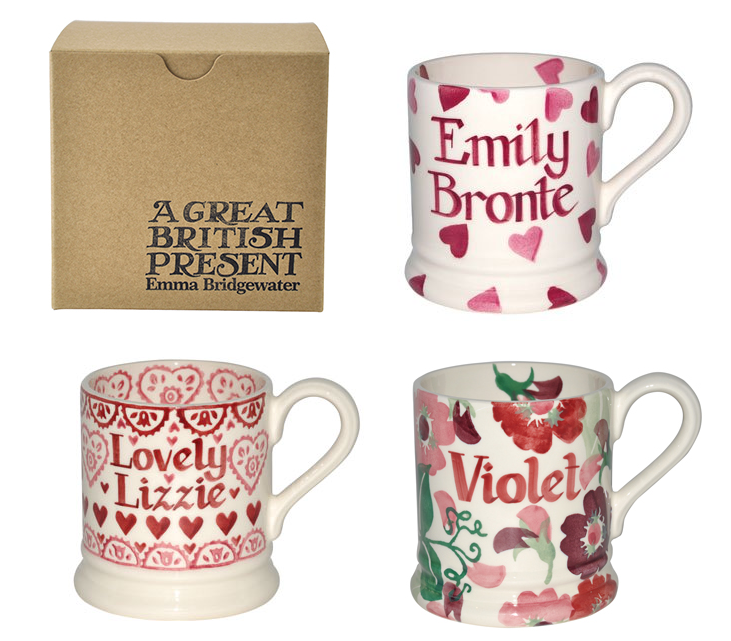 I was so excited to be given this opportunity as I've always adored Emma Bridgewater products and I'm sure many of you will know and love them too. This is also a very different giveaway from my usual make up and beauty product giveaways, so I hope you all agree that it makes a very nice change indeed! There's actually a shop in my town that stocks a lot of Emma Bridgewater mugs, plates and other bits and bobs and I very often drag Darren around looking at everything, wishing I could fill my kitchen cupboards with nothing but these gorgeous designs. My personal favourites are the Hearts Design and the Sampler design, as I'm a sucker for the pretty pinkness! You can check out the designs here, they have lots of lovely designs and they are changing all the time, so you don't have to decide right now which mug you'd like if you won. You can check out some other personalised mug ideas here. When I pick the winner, I will contact you to let you know and you will be able to choose which design you would like on your mug and what you would like written on it. You could get your name, blog name, a nickname - or perhaps someone elses name, or a family member like 'mum' or 'nan' - as they'd make fab Mother's Day presents (though I'd completely understand if you'd like to keep it for yourself, that's definitely what I'd do!!). So, if you win, you can tell me which design and name (or words) you would like on your mug and I will let the lovelies at Emma Bridgewater know, so they can get it made for you! As with all of my giveaways, you can enter using the Raffle Copter form below. All terms and conditions will be in the form below, just remember to ask permission from your parents if you are under 18, as you will need to give your address if you win! This giveaway will be running for one week and the winner will be announced on the Raffle Copter form in this post and on twitter. Remember to leave a valid email address or twitter name in a comment below, otherwise I won't be able to contact you if you win - and you definitely don't want to miss out! So, get entering and good luck! I love reviews OR your sarcastic posts about going out and getting hit on haha. 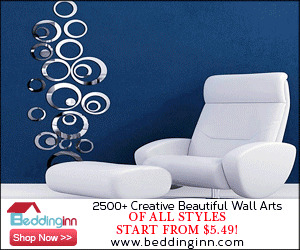 I Love the reviews because you are always very detailed in them. I also love Giveaways! I love your reviews! So honest and lovely! Also love your sarcastic posts. Had me in stitches! I love to read about what you are loving lately - like http://www.chloesway.com/2014/01/loving-lately.html - I bought the doggie washbag! I love reviews the best! I love the Valentine's gift guide you recently posted, thank you. Love this giveaway!!! Matches your blog so beautifully. I like your lifestyle posts. Your make up reviews are my favourite, especially the Sleek ones! Your reviews are incredible! :) Definitely my favourite post of yours to read. My favorite posts are your reviews because I love how honest you are!! Really liked your post how to be the best blogger! It was hilarious! You should definitely make more of those!! I love your reviews and ootd's! This mugs are so cute! I always love to read haul posts and reviews. I love your Cosmetic and Beauty Product reviews, now following via Bloglovin but don't have GFC. I like your reviews and your blogger tag response. @leeshastarr is my twitter handle. reviews are always honest i feel, thanks. i love your funny posts - like the one about being hit on and the best blogger one. I like posts reflecting on your own life. I love your sarcastic posts! Like the one on how to be the best blogger. Brilliant! Thanks for a great giveaway! My favourite posts are reviews because I love reading what other people's opinions are and look at the beautiful pictures of products. Amazing giveaway! My favorite type of post from you would be your reviews because I love to know your opinions on things, Im most likely to go out and buy them if you review them! Good lucky everyone! as a blogger i always like to read reviews they help to make an informded choice easy.